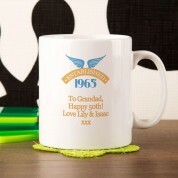 This 50th Birthday mug is the perfect gift for any man in your life. 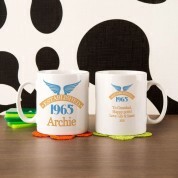 It features a bold and classic design, with a winged 'established' banner across the top of the mug. His year of birth stands out in the middle, with his name underneath it, making this a truly unique gift. The back of the mug has a smaller version of the motif and year, above a personal message (up to 50 characters long) from you. 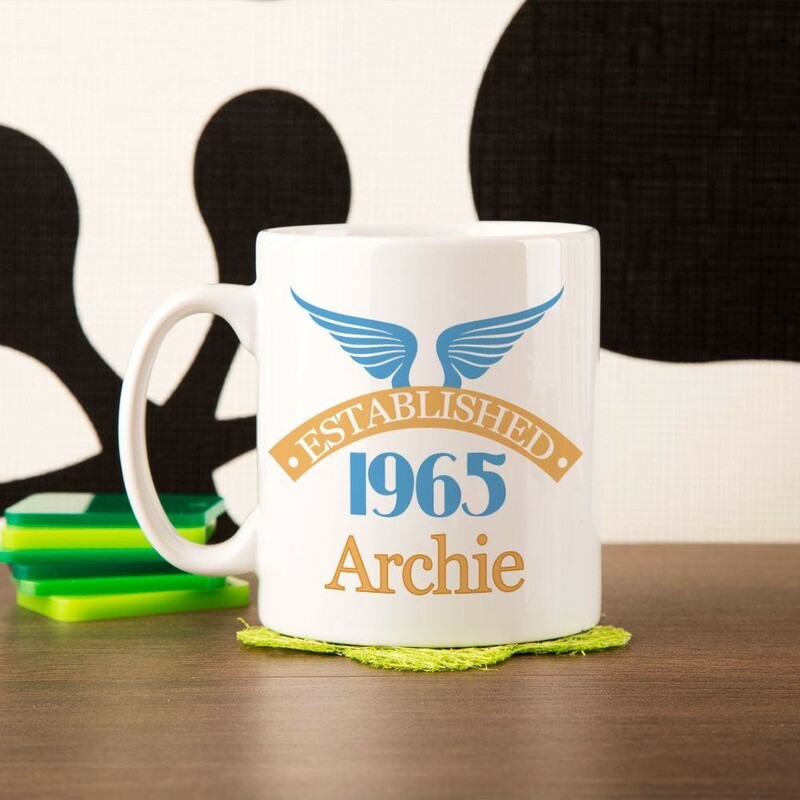 He will love this stylish mug to put his favourite drink in, and will be thinking of you every time he sees it. It is a great reminder of his special birthday, and will always bring a smile to his face.